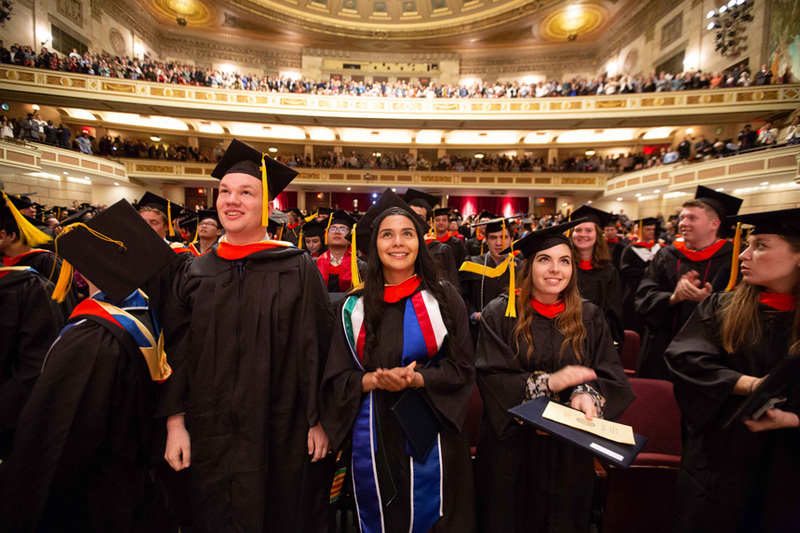 Photos of the Hajim School Diploma Ceremony at Kodak Hall, May 20, 2018, taken by Keith Walters. 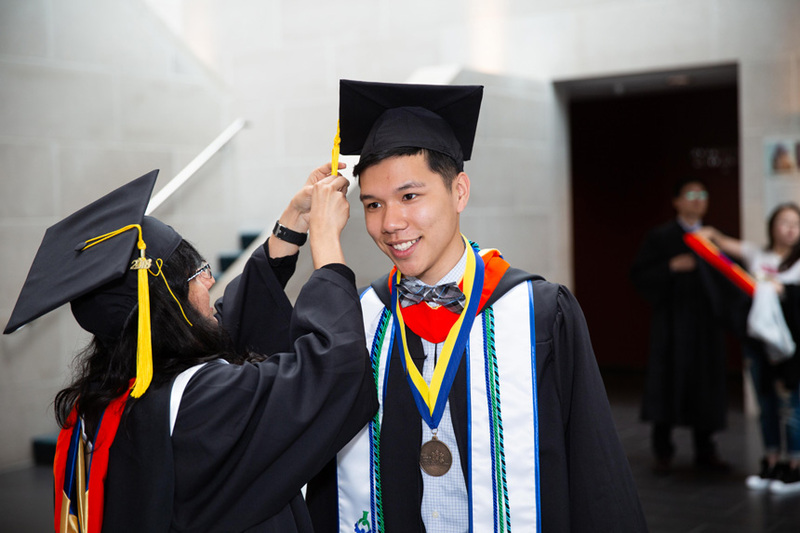 Raymond Chin has his tassel adjusted by Harshita Narang before the ceremony begins. 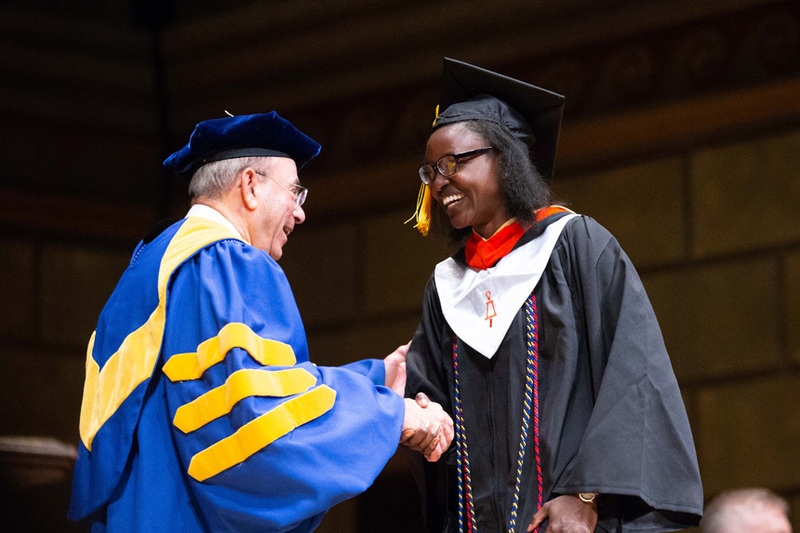 Chin is wearing the medal he received for qualifying as an inaugural NAE Grand Challenges Scholar. 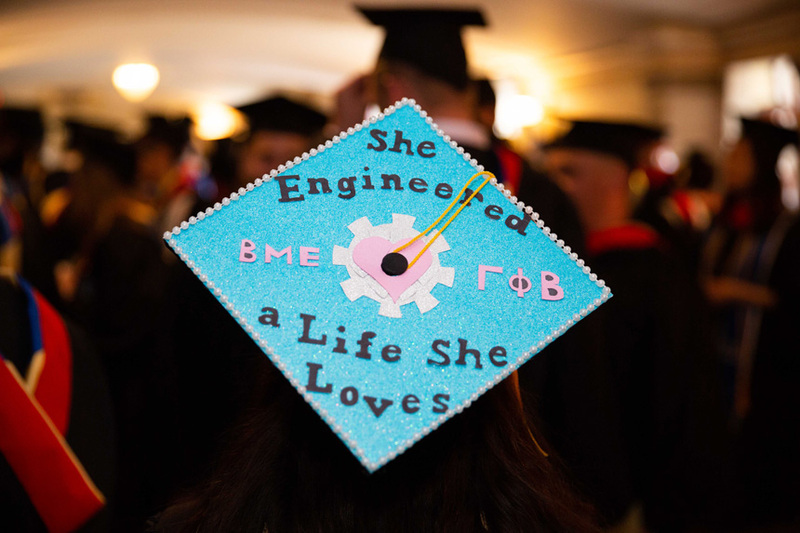 "Don't let being an engineer define who you are; let who you are redefine what it means to be an engineer," Dean Wendi Heinzelman told the graduates. 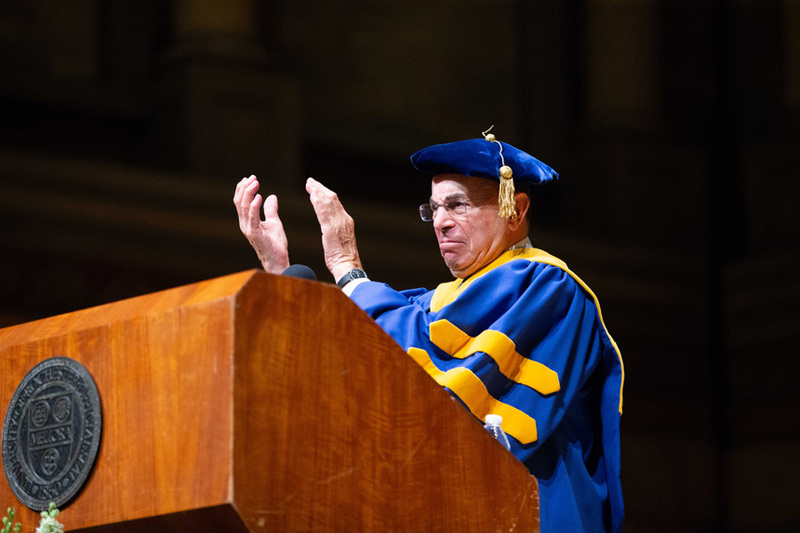 Edmund Hajim '58, emeritus chairman of the University's Board of Trustees and chief benefactor of the school that bears his name, urged the members of the Class of '18 to "find your passions, principles, partners, and plans," and then led a round of applause in their honor. 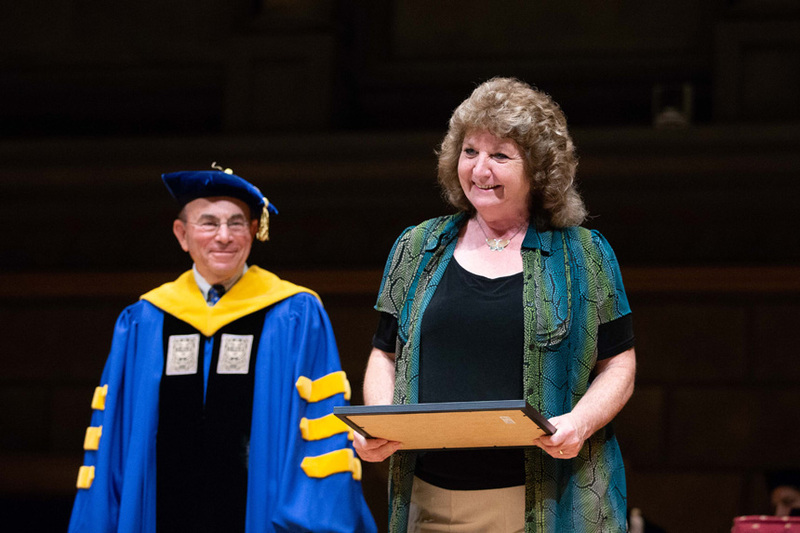 Gina Kern, the administrative assistant to the director of The Institute of Optics, received the Edmund Hajim Outstanding Staff Award for demonstrating extraordinary dedication to the students, staff, and faculty of The Institute while serving under four directors. She has truly been “the face of the institute, the heart of the staff, and the keeper of institutional memory" and will be sorely missed when she retires later this year. 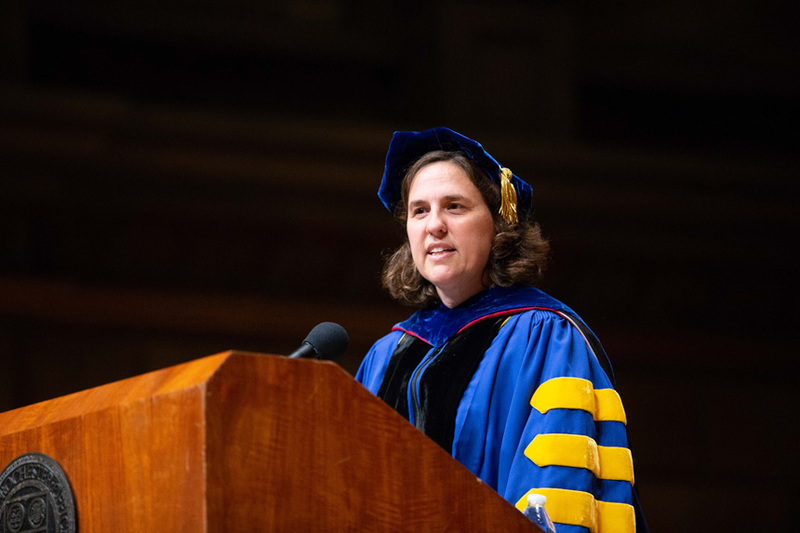 Laurel Carney, the Marylou Ingram Professor of Biomedical Engineering, received the Edmund Hajim Outstanding Faculty Award for her award-winning research. Her lab combines neurophysiological, behavioral, and computational modeling techniques to understand the complex network of auditory nerve fibers that transmit the inner ear’s electrical signals to the brain. 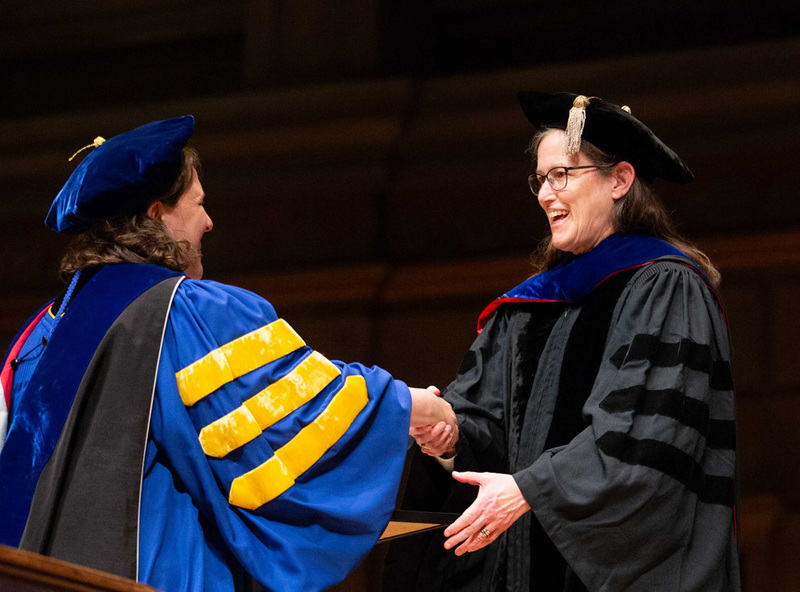 Carney has also excelled as a teacher, winning an outstanding professor of the year award from the Student Association, and as a mentor to junior faculty members in the department, hosting regular sessions to help them write and submit grant proposals. And then it was time to hand out the diplomas . 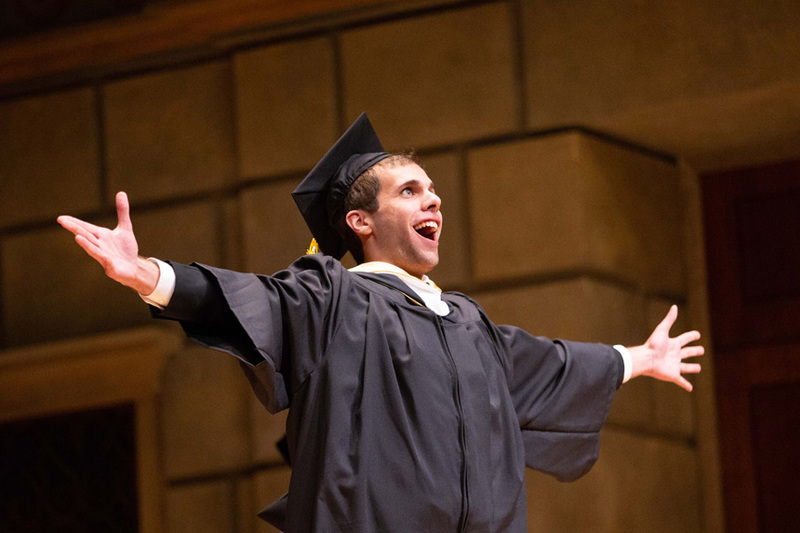 . .
Andrew Regelski savors his moment in the spotlight. 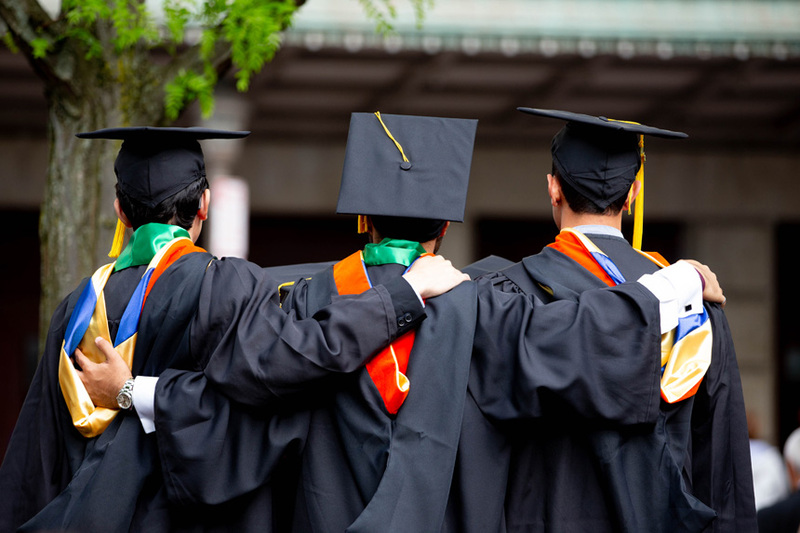 When more than 400 diplomas had been handed out, the class stood for a final round of applause. 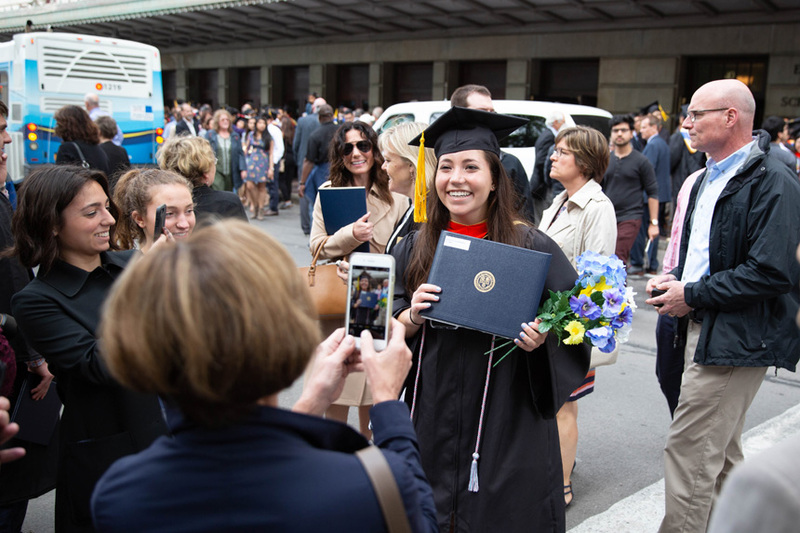 Outside Kodak Hall, proud graduates posed for photos taken by proud family members.